Артериальная гипертония – один из наиболее распространенных патологических синдромов среди реципиентов трансплантированноого сердца, как взрослых, так и детей. Хроническое повышение артериального давления является важным модифицируемым фактором риска дисфункции сердечного трансплантата, васкулопатии, жизнеопасных нарушений ритма, мозгового инсульта, почечной недостаточности и смерти. Данная статья построена на обзоре литературы и посвящена особенностям патогенеза, профилактики, немедикаментозной и лекарственной терапии посттрансплантационной артериальной гипертонии у реципиентов сердца. 1. Готье СВ, Шевченко АО, Попцов ВН. Пациент с трансплантированным сердцем (ISBN: 978-5-94789-648-0). М.–Тверь: Триада, 2014: 144. Gautier SV, Shevchenko AO, Poptsov VN. Patsient s transplantirovannym serdtsem (ISBN: 978-5-94789-648-0). M.–Tver: Triada, 2014: 144. 2. Lund LH et al. The Registry of the International Society for Heart and Lung Transplantation: Thirty-third Adult Heart Transplantation Report – 2016. The Journal of Heart and Lung Transplantation. 2016; 35 (10): 1158–1169. 3. Lázaro S. Hypertension after heart transplantation: predictive factors and number and classes of drugs for Its management. Transplantation Proceedings. 2008; 40 (9): 3051–3052. 4. Patel P, LaPorte K, Carroll M et al. Understanding hypertension in pediatric patients after heart transplantation. The Journal of Heart and Lung Transplantation. 2017; 36 (4): 266. 5. Martínez-Dolz L, Sánchez-Lázaro IJ, Almenar-Bonet L et al. Metabolic syndrome in heart transplantation: impact on survival and renal function. Transpl. Int. 2013; 26: 910–918. 6. Ambrosi P, Kreitmann B, Habib G. Does heart rate predict allograft vasculopathy in heart transplant recipients? Int. J. Cardiol. 2010; 145: 256–257. 7. Lehoux S, Tedgui A. Signal transduction of mechanical stresses in the vascular wall. Hypertension. 1998; 32: 338–345. 8. Васюк ЮА, Иванова СВ, Школьник ЕЛ, Котовс­кая ЮВ, Милягин ВА, Олейников ВЭ, Орлова ЯА и др. Согласованное мнение российских экспертов по оценке артериальной жесткости в клинической практике. Кардиоваскулярная терапия и профи­лактика. 2016; 15 (2): 4–19. Vasyuk YuA, Ivanova SV, Shkol’nik EL, Kotovskaya YuV, Milyagin VA, Oleynikov VE, Orlova YaA i dr. Soglasovannoe mnenie rossiyskikh ekspertov po otsenke arterial’noy zhestkosti v klinicheskoy praktike. Kardiovaskulyarnaya terapiya i profilaktika. 2016; 15 (2): 4–19. 9. Shevchenko AO, Tunyaeva IU, Nasyrova AA. Common carotid artery wall rigidity index is a mаrker of cardiac allograft rejection. The Journal of Heart and Lung Transplantation. 2015; 4S: S298. 10. Nichols WW, Denardo SJ, Wilkinson IB, McEniery CM, Cockcroft J, O’Rourke MF. Effects of arterial stiffness, pulse wave velocity, and wave reflections on the central aortic pressure waveform. J. Clin. Hypertens. (Greenwich). 2008; 10 (4): 295–303. 11. Насырова АА, Шевченко АО. Функциональные показатели магистральных артерий и риск отторжения трансплантированного сердца. Трансплантация: итоги и перспективы. Том VII. 2015 год. Под ред. С.В. Готье. М.–Тверь: Триада, 2016: 331–350. Nasyrova AA, Shevchenko AO. Funktsional’nye pokazateli magistral’nykh arteriy i risk ottorzheniya transplantirovannogo serdtsa. Transplantatsiya: itogi i perspektivy. Tom VII. 2015 god. Pod red. S.V. Gautier. M.–Tver’: Triada, 2016: 331–350. 12. Бойцов СА. Изучение патогенеза гипертонической болезни продолжается. Терапевтический архив. 2006; 78 (9): 1–12. Boytsov SA. Izuchenie patogeneza gipertonicheskoy bolezni prodolzhaetsya. Terapevticheskiy arkhiv. 2006; 78 (9): 1–12. 13. Braith RW, Mills RM, Wilcox CS et al. Breakdown of blood pressure and body fluid homeostasis in heart transplant recipients. J. Am. Coll. Cardiol. 1996; 27: 375–383. 14. Braith RW, Mills RM, Wilcox CS et al. Fluid homeostasis after heart transplantation: the role of cardiac denervation. J. Heart Lung Transplant. 1996; 15: 872–880. 16. of the American College of Cardiology. 2000; 36 (2): 487–492. 17. Zimmer RJ, Lee MS. Transplant Coronary Artery Disease. JACC: Cardiovascular Interventions. 2010; 3 (4): 367–377. 18. Borgese L, Potena L, Resciniti E et al. Influence of angiotensin-type1-receptor antibodies in chronic vascular injury on heart transplant patients. The Journal of Heart and Lung Transplantation. 2015; 34 (4): 99–S100. 19. Canzanello VJ, Textar SC, Taler SJ et al. Late hypertension after liver transplantation: A comparison of cyclosporine and tacrolimus (FK 506). Liver Transpl. Surg. 1998; 4: 328–334. 20. Luke RG, Curtis JJ. Biology and treatment of transplant hypertension. Hypertension: pathophysiology, diagnosis and management. Laragh JH, Brenner BM editors. 2nd ed. New York: Raven Press, 1995: 2471–2481. 21. Sanders M, Victor RG. Hypertension after cardiac transplantation: pathophysiology and management. Curr. Opin. Nephrol. Hypertens. 1995; 4: 443–451. 22. Tocci MJ, Matkovich DA, Collier KA, Kwok P, Dumont F, Lin S, Degudicibus S et al. The immunosuppressant FK506 selectively inhibits expression of early T cell activation genes. J. Immunol. 1989; 143: 718–726. 23. Chiasson VL, Talreja D, Young KJ, Chatterjee P, BanesBerceli AK, Mitchell BM. FK506 binding protein 12 deficiency in endothelial and hematopoietic cells decreases regulatory T cells and causes hypertension. Hypertension. 2011; 57: 1167–1175. 24. Coffman IM, Carr DR, Yarger WF et al. Evidence that renal prostaglandins and thromboxane production is stimulated in chronic cyclosporine nephrotoxicity. Transplantation. 1987; 43: 282–285. 25. Cavarape A, Endlich K, Feletto F et al. Contribution of endothelin receptors in renal microvessels in acute cyclosporine-mediated vasoconstriction in rats. Kidney Int. 1998; 53 (4): 963–969. 26. Molkentin JD, Lu JR, Antos CL et al. A calcineurin-dependent transcriptional pathway for cardiac hypertrophy. Cell. 1998; 93: 215–228. 27. Ventura HO, Johnson MR, Grusk B et al. Cardiac adaptation to obesity and hypertension after heart transplantation. J. Am. Coll. Cardiol. 1992; 19: 55–59. 28. Kahan BD. Cyclosporine nephrotoxicity: pathogenesis, prophylaxis, therapy, and prognosis. Am. J. Kidney Dis. 1986; 8: 323–331. 29. Porter GA, Bennett WM, Sheps SG. Cyclosporine-associated hypertension. National High Blood Pressure Education Program. Arch. Intern. Med. 1990; 150: 280–283. 30. Karabesheh S, Verma DR, Jain M et al. Clinical and hemodynamic effects of renin-angiotensin system blockade in cardiac transplant recipients. Am. J. Cardiol. 2011; 108 (12): 1836–1839. 31. Schaaf MR, Hene RJ, Floor M et al. Hypertension after renal transplantation: calcium channel or converting enzyme blockade? Hypertension. 1995; 25: 77–81. 32. Dbouk HA, Huang CL, Cobb MH. Hypertension: the missing WNKs. Am. J. Physiol. Renal. Physiol. 2016; 311: F. 16–27. 33. Palmer BF. Regulation of potassium homeostasis. J. Am. Soc. Nephrol. 2015; 10: 1050–1060. 34. Hoorn EJ, Walsh SB, McCormick JA et al. The calcineurin inhibitor tacrolimus activates the renal sodium chloride cotransporter to cause hypertension. Nat. Med. 2011; 17 (10): 1304–1309. 35. Tang BL. (WNK)ing at death: With-no-lysine (WNK) kinases in neuropathies and neuronal survival. Brain Res. Bull. 2016; 125: 92–98. 36. Klein IH, Abrahams AC, van Ede T, Oey PL, Ligtenberg G, Blankestijn PJ. Differential effects of acute and sustained cyclosporine and tacrolimus on sympathetic nerve activity. J. Hypertens. 2010; 28 (9): 1928–1934. 37. Veenstra DL, Best JH, Hornberger J et al. Incidence and long-term cost of steroid-related side effects after renal transplantation. Am. J. Kidney Dis. 1999; 33: 829–839. 38. Yard AC, Kadowitz PJ. Studies on the mechanism of hydrocortisone potentiation of vasoconstrictor responses to epinephrine in the anesthetized animal. Eur. J. Pharmacol. 1972; 20: 1–9. 39. Uno S, Guo DF, Nakajima M et al. Glucocorticoid induction of rat angiotensin II type 1A receptor gene promoter. Biochem. Biophys. Res. Commun. 1994; 204: 210–215. 40. Whitworth JA, Schyvens CG, Zhang Y et al. The nitric oxide system in glucocorticoid-induced hypertension. J. Hypertens. 2002; 20: 1035–1043. 41. Bennett AL, Ventura HO. Hypertension in Patients with Cardiac Transplantation. Med. Clin. 2017; 101: 53–64. 42. Драпкина ОМ, Елиашевич СО, Шепель РН. Ожирение как фактор риска хронических неинфекционных заболеваний. Российский кардиологический журнал. 2016; 6 (134): 73–79. Drapkina OM, Eliashevich SO, Shepel’ RN. Ozhirenie kak faktor riska khronicheskikh neinfektsionnykh zabolevaniy. Rossiyskiy kardiologicheskiy zhurnal. 2016; 6 (134): 73–79. 43. Чазова ИЕ, Бойцов СА, Небиеридзе ДВ, Белоу­сов ЮБ, Боровков НН, Бритов АН, Волкова ЭГ и др. Профилактика, диагностика и лечение артериальной гипертензии. Кардиоваскулярная терапия и профилактика. 2004; 3 (4): 3–19. 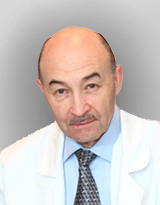 Chazova IE, Boytsov SA, Nebieridze DV, Belousov YuB, Borovkov NN, Britov AN, Volkova EG i dr. Profilaktika, diagnostika i lechenie arterial’noy gipertenzii. Kardiovaskulyarnaya terapiya i profilaktika. 2004; 3 (4): 3–19. 44. Чазова ИЕ, Ощепкова ЕВ, Жернакова ЮВ. Клинические рекомендации: диагностика и лечение артериальной гипертонии. Кардиологический вестник. 2015; X (1): 3–30. Chazova IE, Oshchepkova EV, Zhernakova YuV. Klinicheskie rekomendatsii: diagnostika i lechenie arterial’noy gipertonii. Kardiologicheskiy vestnik. 2015; X (1): 3–30. 45. Rustad LA et al. One year of high-intensity interval training improves exercise capacity, but not left ventricular function in stable heart transplant recipients: A randomised controlled trial. European Journal of Preventive Cardiology. 2014; 21: 181–191. 46. Rudas L, Pflugfelder PW, Kostuk WJ. Hemodynamic observations following orthotopic cardiac transplantation: evolution of rest hemodynamics in the first year. Acta Physiol. Hung. 1992; 79: 57–64. 47. Artz MA, Boots JMM, Ligtenberg G et al. Conversion from cyclosporine to tacrolimus improves quality-of-life indices, renal graft function and cardiovascular risk profile. Am. J. Transplant. 2004; 4: 937–945. 48. Ekberg H, Grinyo J, Nashan B et al. Cyclosporine sparing with mycophenolate mofetil, daclizumab and corticosteroids in renal allograft recipients: the CAESAR study. Am. J. Transplant. 2007; 7: 560–570. 49. Arnol M, de Mattos AM, Chung JS et al. Late steroid withdrawal and cardiovascular events in kidney transplant recipients. Transplantation. 2008; 86: 1844–1848. 50. Piepoli MF, Hoes AW, Agewall S et al. 2016 European Guidelines on cardiovascular disease prevention in clinical practice: The Sixth Joint Task Force of the European Society of Cardiology and Other Societies on Cardiovascular Disease Prevention in Clinical Practice. Eur. Heart J. 2016; 37 (29): 2315–2381. 51. Mancia G et al. 2013 ESH/ESC Guidelines for the management of arterial hypertension. The task force for the management of arterial hypertension of the European Society of Hypertension (ESH) and of the European Society of Cardiology (ESC). European Heart Journal. 2013; 34: 2159–2219. 52. Reeves RA, Shapiro AP, Thompson ME et al. Loss of nocturnal decline in blood pressure after cardiac transplantation. Circulation. 1986; 73: 401–408. 53. Wenting GJ, van den Meiracker AH, Simoons ML et al. Circadian variation of heart rate but not of blood pressure after heart transplantation. Transplant. Proc. 1987; 19: 2554–2555. 54. Чазова ИЕ, Ощепкова ЕВ. Опыт борьбы с сердечно-сосудистыми заболеваниями в России. Аналитиче­ский вестник Совета Федерации Федерального Собрания РФ. 2015; 44: 4–8. Chazova IE, Oshchepkova EV. Opyt bor’by s serdechno-sosudistymi zabolevaniyami v Rossii. Analiticheskiy vestnik Soveta Federatsii Federal’nogo Sobraniya RF. 2015; 44: 4–8. 55. Subramanya AR, Yang CL, McCormick JA et al. WNK kinases regulate sodium chloride and potassium transport by the aldosterone-sensitive distal nephron. Kidney Int. 2006; 70: 630–634. 56. Kim HC, Hwang EA, Han SY, Park SB, Kim HT, Cho WH. Primary immunosuppression with tacrolimus in kidney transplantation: three-year follow-up in a single center. Transplant. Proc. 2004; 36 (7): 2082–2083. 57. Wilcox CS, Mitch WE, Kelly RA et al. Response of the kidney to furosemide: effects of salt intake and renal compensation. J. Lab. Med. 1983; 102: 450–458. 58. Loon NR, Wilcox CS. Mechanism of impaired natriuretic response to furosemide during prolonged therapy. Kidney Int. 1989; 36: 682–689. 59. Чазова ИЕ, Жернакова ЮВ. Блокаторы кальциевых каналов: более 50 лет на страже здоровья. Систем­ ные гипертензии. 2015; 12 (2): 49–56. Chazova IE, Zhernakova YuV. Blokatory kal’tsievykh kanalov: bolee 50 let na strazhe zdorov’ya. Sistemnye gipertenzii. 2015; 12 (2): 49–56. 60. Tortorice KL, Heim-Duthoy KL, Awni WM, Rao KV, Kasiske BL. The effects of calcium channel blockers on cyclosporine and its metabolites in renal transplant recipients. Ther. Drug Monit. 1990; 12: 321–328. 61. Tepel M, Hopfenmueller W, Scholze A et al. Effect of amlodipine on cardiovascular events in hypertensive haemodialysis patients. Nephrol. Dial. Transplant. 2008; 23: 3605–3612. 62. Suwelack B, Gerhardt U, Hausberg M et al. Comparison of quinapril versus atenolol: effects on blood pressure and cardiac mass after renal transplantation. Am. J. Cardiol. 2000; 86: 583–585. 63. Suzuki H, Handa M, Kondo K et al. Role of renin-angiotensin system in glucocorticoid hypertension in rats. Am. J. Physiol. 1982; 243: 48–51. 64. Heinze G, Mitterbauer C, Regele H et al. Angiotensin converting enzyme inhibitor or angiotensin II type 1 receptor antagonist therapy is associated with prolonged patient and graft survival after renal transplantation. J. Am. Soc. Nephrol. 2006; 17: 889–899. 65. Gilbert EM et al. Lisinopril lowers cardiac adrenergic drive and increases beta-receptor density in the failing human heart. Circulation. 1993; 88: 472–480. 66. Chaturvedi N, Sjolie AK, Stephenson JM et al. Effect of lisinopril on progression of retinopathy in normotensive people with type 1 diabetes. Lancet. 1998; 351: 28–31. 67. Brozena SC, Johnson MR, Ventura H, Hobbs R, Miller L, Olivari MT, Clemson B et al. Effectiveness and safety of diltiazem or lisinopril in treatment of hypertension after heart transplantation: results of a prospective, randomized multicenter trial. J. Am. Coll. Cardiol. 1996; 27: 1707–1712. 68. Schroeder JS, Gao SZ, Alderman EL, Hunt SA, Johnstone I, Boothroyd DB, Wiederhold V, Stinson EB. A preliminary study of diltiazem in the prevention of coronary artery disease in heart-transplant recipients. N. Engl. J. Med. 1993; 328: 164–170. 69. Lindenfeld J et al. Drug therapy in the heart transplant recipient. Part III: common medical problems. Circulation. 2005; 111: 113–117. 70. Buendia-Fuentes F et al. Sympathetic reinnervation 1 year after heart transplantation, assessed using iodine-123 metaiodobenzylguanidine imaging. Transpl. Proc. 2011; 43: 2247–2248. 71. Lee SR et al. Early parasympathetic reinnervation is not related to reconnection of major branches of the vagus nerve after heart transplantation. Korean Circ. J. 2016; 46: 197–206. 72. Jouven X et al. Ducimetiere relation of heart rate at rest and long-term (>20 years) death rate in initially healthy middle-aged men. Am. J. Cardiol. 2009; 103: 279–283. 73. Глезер МГ, Чесникова АИ, Гиляревский СР, Пере­печ НБ, Асташкин ЕИ, Лопатин ЮМ, Васюк ЮА. Снижение частоты сердечных сокращений у больных ишемической болезнью с хронической сердечной недостаточностью – цель и средства. Кардиоло­гия. 2014; 54 (4): 109–120. Glezer MG, Chesnikova AI, Gilyarevskiy SR, Perepech NB, Astashkin EI, Lopatin YuM, Vasyuk YuA. Snizhenie chastoty serdechnykh sokrashcheniy u bol’nykh ishemicheskoy bolezn’yu s khronicheskoy serdechnoy nedostatochnost’yu – tsel’ i sredstva. Kardiologiya. 2014; 54 (4): 109–120. 74. Barge-Caballero EJ et al. Prognostic significance of heart rate and its long-term trend in cardiac transplant patients. Rev. Esp. Cardiol. 2015; 68: 943–950. 75. Anand RG et al. Usefulness of heart rate as an independent predictor for survival after heart transplantation. Am. J. Card. 2009; 103: 1290–1294. 76. Ciarka A, Lund LH, Cleemput JV et al. Effect of heart rate and use of beta blockers on mortality after heart transplantation. The American Journal of Cardiology. 2016; 118: 1916–1921.